Elementary school kids have it right. We should write stories the same way we did while we were still in the four feet range, bolting through the kitchen door with no time to waste. Most high school newspaper classes (the cream of the crop for professional journalism), teach students the “kitchen door” method. In a nutshell, write stories like an elementary kid would tell their mom as they run through the kitchen door. Some call it the inverted pyramid or a myriad of other journalism jargon titles. But it is easiest to think of little “Johnny” or “Jane” running through the white picket fence gate, in through the screen door to tell mom, “Billy got punched in the face this afternoon at recess because he stole Joe’s girlfriend!” It gets the five W’s in (who, what, when … etc.) and it’s captivating. Right to the point. Don’t you want to know what happened after that? Exactly. Everyone does. Our storytelling should be no different. Whether you’re a local peanut salesman or a booming business tycoon, you need to tell an interesting story. Apathy is the enemy. People hate to be bored. Many have trouble watching normal television anymore because their attention span doesn’t last through the same old commercials. Great news for Netflix, bad news for PR professionals. So you have to tell a story that will hook the average reader in a way they understand (which, in America, is an 8th grade reading level). Slam the kitchen door and start your story today with us. 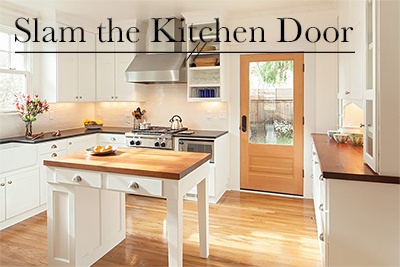 At TPRM, we have the kitchen door method down to the “T.” Contact us to take your content to the next level.